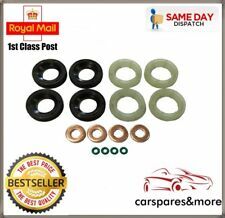 Suzuki Grand Vitara I Common Rail Diesel Injector Washers Seals Pack of 4. Fed up with your car sounding like a truck? These simple but efficient seals will stop it! Simply remove the injectors, clean off any burnt on fuel, place the seal on the injector and tighten. Please ignore the car compatibility list. If these do not fit your car, we'll give you your money back. Condition is New. Fuel Injector Repair Kit. Injectors are for illustration only, not included in kit. Leading Automotive Parts & Accessory Distributors. Fuel injector micro basket filter. 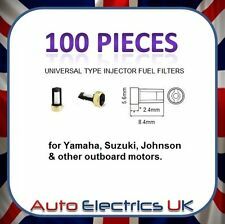 Suitable for variousYamaha, Suzuki, Johnson & other outboard motors. Leading Automotive Parts & Accessory Distributors. 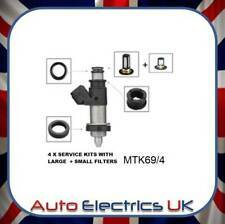 Auto Electrics UK. IRELAND / ISLE OF MAN / ISLE OF WEIGHT / CHANNEL ISLES / EIRE / SCOTTISH HIGHLANDS. BT / DD / PH / AB / IV / KW / PA / TR / ZE / EX / HS / GY / IM / JE / KA. THIS DOES NOT INCLUDE NI, ROI, HIGHLANDS OR OFFSHORE ISLANDS. 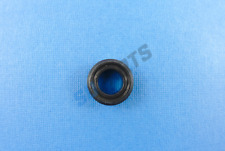 COMMON RAIL INJECTOR WASHER. TO FIT BOSCH COMMON RAIL INJECTOR FOR SUZUKI. Fits : SUZUKI SWIFT III 1.3 DDIS. 0986435078 / 0 986 435 078. 0 445 110 083 / 0445110083. For sale:Fuel Pressure Regulator - Suzuki Alto 1.0 (2001). The item for sale has been fully checked and tested where possible. Suzuki Cappuccino (1992-1995). Fuel Rail with Pressure Valves. When buying used parts. Fit: 1999-2003 Hayabusa (GSX1300R) - THROTTLE BODY (MODEL X/Y). 1999-2003 Hayabusa (GSX1300R) - THROTTLE BODY (MODEL K1). 1999-2003 Hayabusa (GSX1300R) - THROTTLE BODY (MODEL K2/K3). 1999-2003 Hayabusa (GSX1300RZ) - THROTTLE BODY (MODEL X/Y). 6 FUEL INJECTORS SUIT SUZUKI GRAND VITARA H27A V6 2.7L 05-08 INJECTOR. SUZUKI SWIFT VVTS 1.5 LITRE PETROL 5 DOOR HATCHBACK 5 SPEED MANUAL 2008 MODEL. FUEL INJECTOR RAIL WITH 4X INJECTORS. AJ SPARES is a large independent Vehicle Dismantlers. South Yorkshire. The Blue Containers. AUDI A8 (4E2, 4E8) 4.2 quattro Saloon Petrol 10/2002 07/2010 AWD 40 335 246. AUDI A6 (4A2, C4) 1.8 quattro Saloon Petrol 12/1995 10/1997 AWD 20 125 92. AUDI COUPE (89, 8B) 2.6 Coupe Petrol 08/1992 12/1996 FWD 12 150 110. ELECTRIC INJECTOR CONNECTOR. BOSCH COMMON RAIL DIESEL. KIT INCLUDES : 4 X INJECTOR CONNECTOR. This connector is to suit ALL Bosch Common Rail Injectors starting with the part number. COMPLETE INJECTOR PLUG KIT. Application: Suzuki Swift 1.3 DDiS Turbo Hatchback. To Fit Bosch Pump Numbers: 0445 010 138 / 0445 010 278. All our parts are id stamped before we send them. before ordering. number to confirm. Renault 19 Clio 1.6 Spi. RENAULT clio 1.6L & R19 1.6L. Fiat Tipo VW Golf. Fuel Injector Repair Kit. Injectors are for illustration only, not included in kit. FIAT Tipo 1.6L i.e. VW Golf 1.8L. Suzuki Swift. Common Rail Fuel Injector High Pressure Pump. Engine Code: Z 13 DT | Common Rail (CR). Engine Code: Z 13 DTJ,D13A | Manufactured After: 7/ 2008 | Manufactured Before: 8/ 2015 | Eng. No. : OPEL Z 13 DTJ | Common Rail (CR). You will receive a set of 4 Honda/Suzuki style injectors and fuel rail spacers with flow sheets. You will receive everything you see in the photo, PLUS the RC Engineering flow sheets showing the EXACT flow of YOUR injectors. 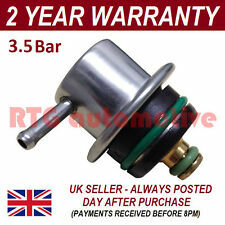 Item Specifics:2000-2007 - 1.2 PETROL - INJECTION RAIL - WITH INJECTORS - 2 2 2 2 PIN PLUG - PART NO BOSCH 0280151208. Part:Injection Rail. This Injection Rail was removed from a2006 car and has been fully inspected. 1.6 HDI 2002 on. 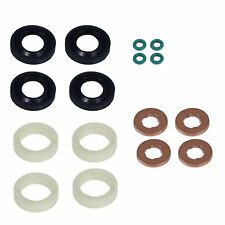 Fuel Injector Seal Washer O-Ring Protector Set. 4 INJECTOR SEALS. 8 INJECTOR STUD FOR. 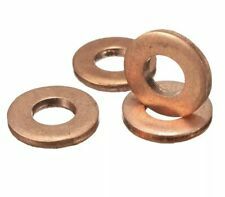 4 COPPER WASHERS. 1.6 D Multijet 2007 on. MINI R56 One D 1.6 2009-2010. C30 1.6 D 2005 on. 1.3 PETROL. Fuel Rail and Injectors. Suzuki Swift. IT DOES NOT INCLUDE INJECTORS, GEARBOX, TURBO, MANIFOLDS, FLYWHEEL OR ANY ANCILLARIES. 2005 2006 2007 2008 2009 2010. Tested and working, from a running vehicle.